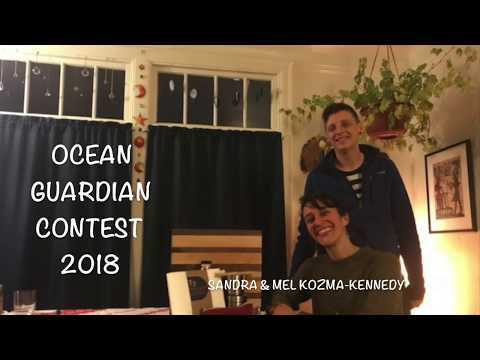 Sandra and Mel Kozma-Kennedy showcase just some of their many, daily individual actions, that they believe through observation and education will cause a "ripple effect" on people to change their behaviors towards a more sustainable lifestyle, and healthier planet. As artists, chefs, and woodworkers, their motto is in the title, and these two exemplify how their individual actions - weather it be making a cutting board out of reclaimed wood or making their own cat food to eliminate waste - can make a difference on the world. These two are true Ocean Guardians!